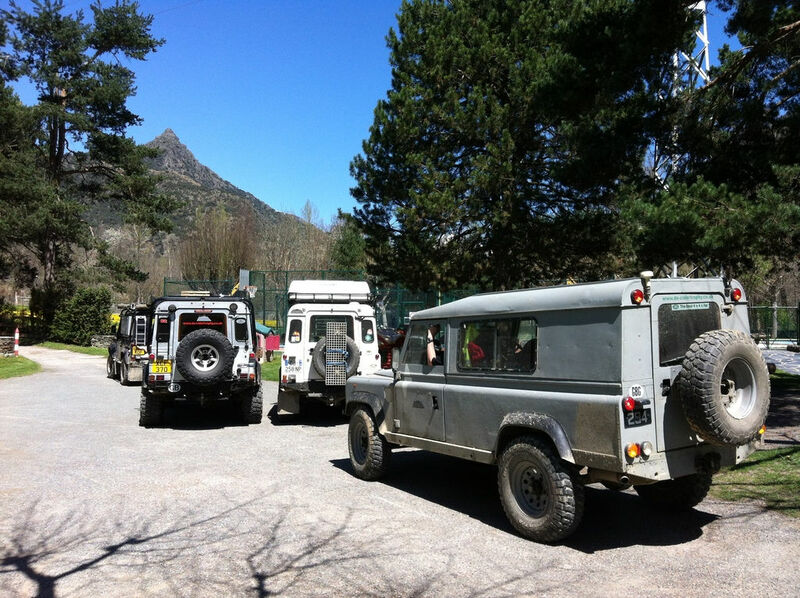 You will be able to do any adventure sport in the matchless setting of the Alt Pirineu Natural Park (Lleida). Adventure sports are a new resource of fun and enjoyment as well letting us “switch off”, especially for those who like to feel the adrenaline rush. 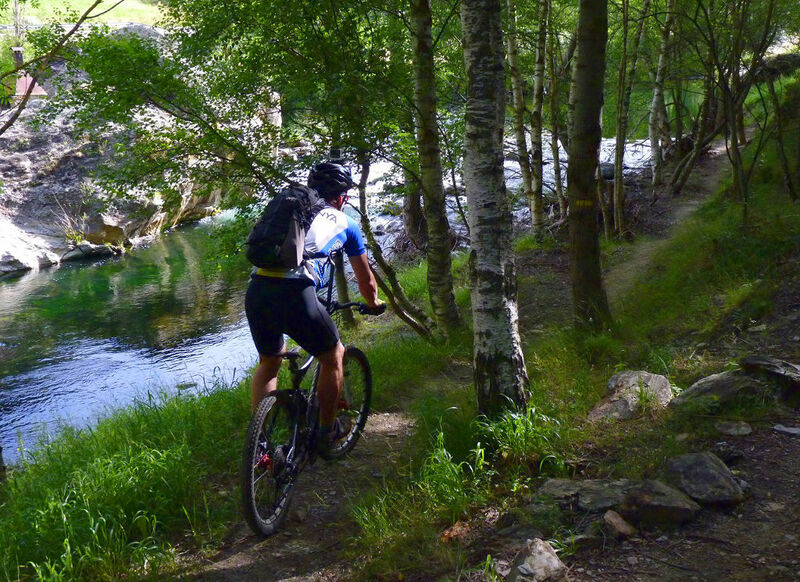 The river La Noguera Pallaresa, going through the towns of Sort and Llavorsí, brings the ideal environment to carry out the different sports modalities, especially with rafting, canyoning and hydro speed, kayaking and canoeing. Nowadays the offer for adventure sports is incredibly varied; other activities to do are, for example, archery, bungee jumping, horse riding, paragliding for two people, quad riding, bus bob, climbing, mountain biking and a long, etc. There are four ski resorts in the county to do downhill skiing, snowboarding, freestyle and cross-country skiing. We have the resorts in Port Ainé, Espot Esquí (very close to the Aigüestortes and Estany de Sant Maurici National Park), Tavascan and Baqueira (near the town of Vielha). In some of these resorts, there are routes to do on a dog sleigh or on a snowmobile. There are also many different routes to go snowshoeing or mountaineering skiing. This region has been traditionally chosen for the practising of mountain sports. Apart from a great variety of tracks, there are two long-distance footpaths, the GR11 and the Haute Randonnée. Two of the most popular spots are the Pica d’Estats, Catalonia’s highest summit, and the Nacional Park d’Aigüestortes i Estany de Sant Maurici. However, there are many more for the practising of hiking and mountaineering. 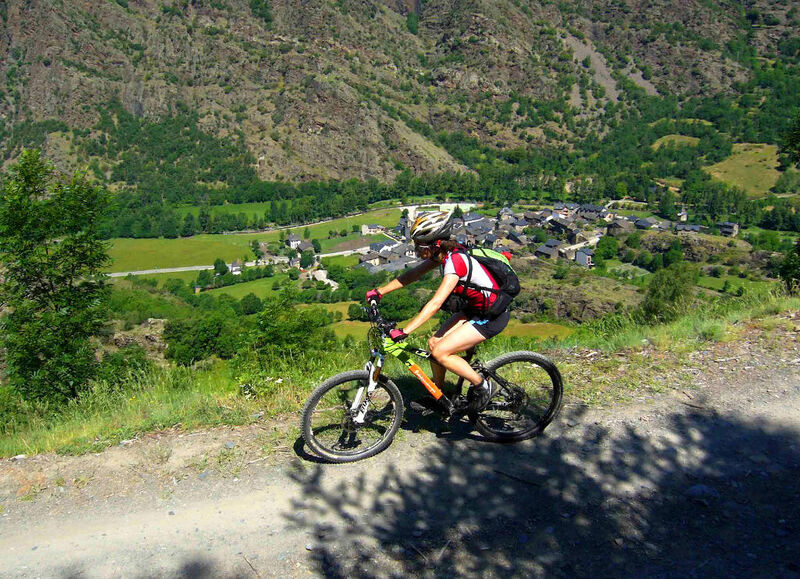 Our valley, due to its geographical profiles, is the ideal terrain for mountain biking. Breathtaking landscapes and forest trails are just the setting for such a sport. There are at present some trails properly signalled. In our valley, the numerous routes on foot are accessible to all publics, from the youngest to the ones who prefer the high mountain or a walk around the unique villages and natural places. 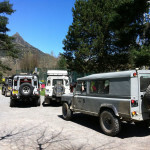 Càmping del Cardós, located in the heart of the Alt Pirineu Natural Park, has a fantastic situation to access all the areas of interest, such as Aigüestortes and Estany de Sant Maurici National Park, the Pica d’Estats, and remarkable villages such as Llavorsí, Sort, Esterri d’Àneu, Vielha, La Seu d’Urgell and Andorra. 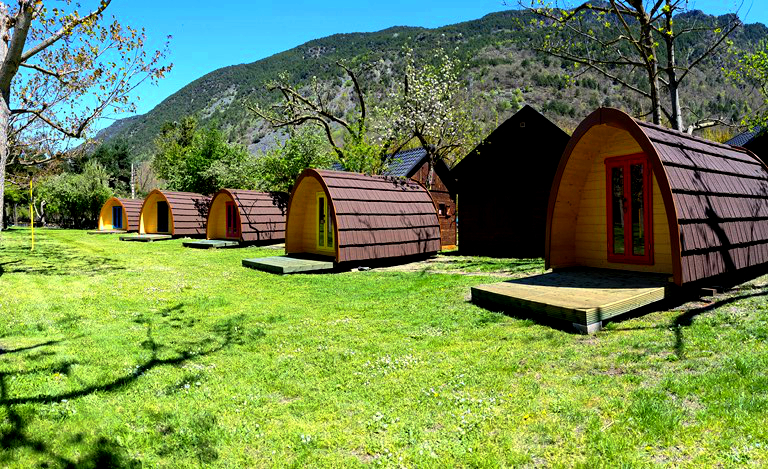 In our campsite, we offer you a selection of lodgings.